Ivan Misner founded Business Networking International (or BNI) in 1985. BNI is now the world’s largest business networking organization and its members have gone on to close over 11 billion dollars in business. Please SUBSCRIBE and leave a review! Are you living your life by design or by default? Are you intentionally constructing the life you desire (i.e., setting goals), or are you letting life’s circumstances determine your destiny? If you find yourself waking up to the same routine day in and day out, leaving you feeling unfulfilled and frustrated, then you’re letting life control you rather than you controlling it. I have some good news for you, though... that’s about to change. 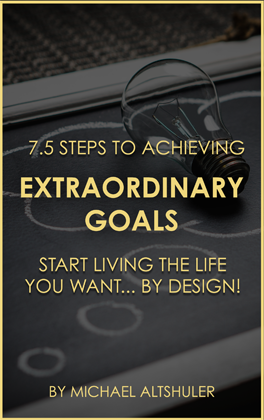 Enter your email to instantly receive a FREE copy of Michael's e-book "7.5 Steps to Achieving Extraordinary Results"